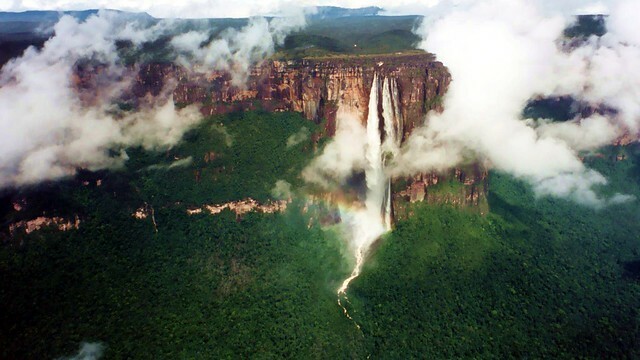 Angel Falls | Flickr - Photo Sharing! the highest in the world, water free-falls almost 1 Km. gustaf wallen, project-tee, hniizato, and 14 other people added this photo to their favorites. Pretty shot and wonderful scenery. Thank you for Posting this Awesome Photo In Our " Quality Water Falls and Water Fountain Contest ..
We are also pleased to invite you to our Foturist group at Flickr. una de las maravillas de nuestra venezuela! This photo has been included in website Wondermondo - an armchair guide to world attractions, description of world waterfalls. Many thanks for this beautiful picture! Just wanted to let you know that your photo was featured on a travel article on Matador Network with a link back to your photostream! Thanks so much for sharing your great work! I hope you enjoy the post but, if you have any objections with the use of your photo please let me know and I will change it immediately. Great Shot! Your photo has been selected to appear on Triporati, a website dedicated to helping travelers find their dream destinations. If you have any questions, contact us at photos@triporati.com. Thanks and happy travels!